24 Joshua gathered all the tribes of Israel at Shechem. He summoned the elders of Israel, its leaders, judges, and officers. They presented themselves before God. 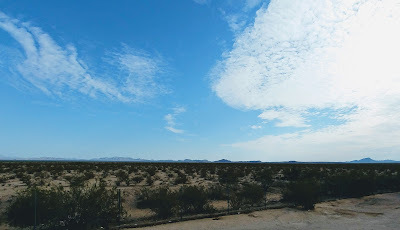 2 Then Joshua said to the entire people, “This is what the Lord, the God of Israel, says: Long ago your ancestors lived on the other side of the Euphrates. They served other gods. Among them was Terah the father of Abraham and Nahor. 3 I took Abraham your ancestor from the other side of the Euphrates. Joshua has reached old age (Josh 23:1). Like Moses before him, he knows he must prepare the people for a transfer of leadership, though no successor is named, and the story gives way to the time of the Judges. Knowing that the end is on the horizon, he takes the opportunity to gather the people of Israel together for a final conversation. He needs to settle things, so that the people of Israel could live fruitful lives before the Lord in the Land of Promise. The people of Israel have crossed the river, entered the land, and taken possession of it. But, the question still remains, will they serve the God of Israel? Or, will they remain susceptible to the lure of other gods, like the gods their ancestors served, and the gods of the peoples they had conquered? Yahweh is a jealous God, who refuses to share the throne. Now, that the land is at peace, and the people of Israel can settle into their inheritance, God asking the people to reaffirm the covenant relationship that was set in motion when God called Abraham to leave behind the gods of his family, cross the Euphrates, and enter a new land, in partnership with Yahweh. Yes, it’s time to choose whether to serve the Lord or not. Joshua, speaking on behalf of God, draws a line in the sand. He asks the people to decide whether they will choose the Lord or not. It would seem that Joshua is asking the people to decide whether they will remain as residents of the Land of Promise. 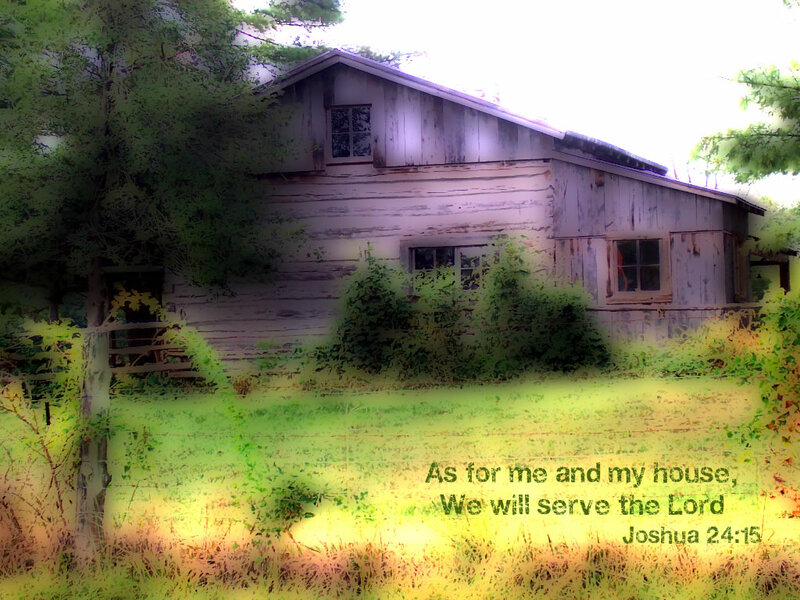 As for Joshua, he and his household will serve the Lord. He has taken his stand, and he wants to know if others will join him on his side of the line in the sand. There is a scene in the old movie, The Alamo, where the defenders face certain defeat and death at the hands of Santa Anna and his men. Stephen Travis, commanding the post, decides to stay. He draws a line in the dirt, and asks those who would remain to join him on his side of the line. In the end all join him. Joshua isn’t in the same predicament, but he is concerned about the integrity of the community. To this point in the story, the people have been led by Yahweh, who called Abraham, Isaac, Jacob, Moses, and then Joshua, to lead the people and create a space for the people of God to inhabit and serve the LORD. Joshua has made his choice. He’s drawn the line. Now, he’s asking the people, who haven’t always been consistent in their devotion to the covenant, to reaffirm that covenant. What Joshua is doing here is asking for the undivided loyalty of the people to God. In this conversation, the issue is whether they will serve Yahweh, or the other gods served by their neighbors and their ancestors. But what about us? Do we have divided loyalties? Is our faith compromised by loyalties to nation or culture? Does our faith define our politics, or does our politics define our faith? Does the American flag stand prominently above any symbol of the faith? Are we more willing to remove the cross from our churches than the flag? Bob Ekblad writes in his comments on this passage: “What are some of the belief systems, attachments, and allegiances that compromise our full allegiance to God and the divine realm? Have we too readily believed our ancestors’ stories that attribute success to hard work, human intelligence, capital, ethnic, or national superiority?” [Preaching God’s Transforming Justice, p. 478]. What are the ideologies that draw us away from our allegiance to God? What are the enticements of this world that lead us away from God’s vision for creation? I have written a book on the Lord’s Prayer, in which I argue that the Lord’s Prayer is our pledge of ultimate allegiance to God and God’s realm. How seriously do we take that prayer? Is it something we say by rote, or do we mean it? Much has been made about NFL players taking the knee during the National Anthem. This has been portrayed as an act of disrespect to nation and to military veterans. What many fail to remember is that Colin Kaepernick, who happens to be a Christian, chose to sit and then kneel during the anthem as a protest against acts of violence and disrespect toward African Americans and other minorities in our country. In time others joined him, for different reasons perhaps, but they were making a statement. They used their platform to call attention to injustice. Yes, they’re rich, but that doesn’t mean that the protest is without merit. Joshua wants to make sure that the people of Israel have thought deeply about their own allegiances. He reminds them that they have not always been consistent. They have been enticed by other gods. They have been susceptible to powers other than God. So now, as Joshua sees the end of his term as leader drawing near, he wants to make sure the people are committed to God and to God’s covenant. Lest we forget, that covenant goes back to the call of Abraham and Sarah, who received a promise from God that through their descendants the nations would be blessed. It is time once again to reaffirm that promise, which is now embodied in Israel. Joshua has made his commitment. In stewardship terms, he’s turned in his pledge card. The question is, will the rest of the people do the same? They answer in the affirmative, and Joshua asks, are you sure? Are you willing to pay the price? There are, after all, consequences of crossing the line, but failing to fulfill the promise. If you fail, Joshua says, God will turn against you, and even do you harm. I am, to be sure, uncomfortable with such a statement. I don’t see God in those terms, but I do understand that choices have consequences. I would rather see things in that mode rather than see God as a punisher. Still, Joshua makes it clear that allegiance to God and God’s realm must be more than lip service. It requires our full attention, our full embodied attention. That is difficult for us. Our allegiances do get split. It’s easier to go along with the culture. It’s easier to embrace nation than God’s realm. That’s because nation is so much more tangible. Yet, here is the call of God. Whom will you serve? Will we bear witness to the call to live in covenant relationship with God? Will we join Israel in making the declaration: “We will serve the Lord our God and will obey him?” With Israel’s affirmation, Joshua made a covenant for the people.